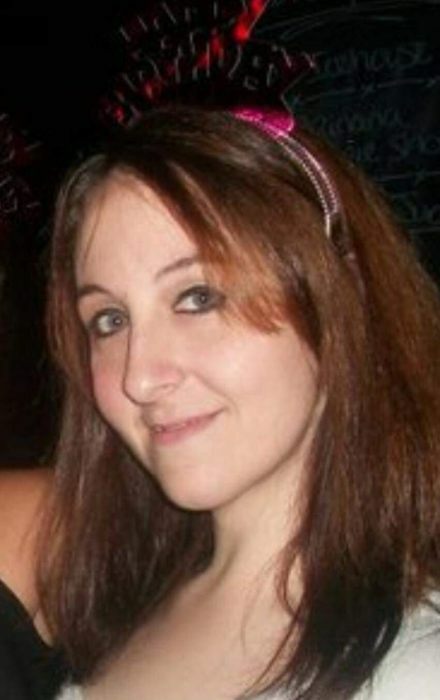 Obituary for Rebecca H. Moran Moreno | Buechele Funeral Home and Cremation Services, Inc.
Rebecca Hope Moran Moreno, 33, of East Brady died Saturday February 10, 2018 at her residence. Born July 7, 1984 in San Diego, CA, she was the daughter of Donald E. Moran Jr. and Jan L. (Conner) Guttirez. Before a recent move to East Brady, Rebecca was the assistant manager at Cash America in Marietta, Georgia for a number of years. Rebecca will always be remembered for the enjoyment she found in party planning and bringing her family and friends together. She loved cooking Spanish cuisine, was an avid movie-goer, enjoyed helping others and living life to the fullest. She especially enjoyed watching her daughter Liliana grow and teaching her everything she could in her short time on earth. She is survived by 1 daughter; Liliana Moreno, her best friend and husband; Gilberto Moreno, parents; Donald Moran of GA and Jan Guttirez of East Brady. 1 sister; Aimee (Efrain) Mencho-Lopez of GA, 4 brothers; Scott (Tammy) Thomas of GA, Matthew (Erin Raduansky) Moran of New Kensington, Philip (Sarah) Moran of Mercer and Daniel Moran of GA.
Rebecca is also survived by 3 nieces and 1 nephew.